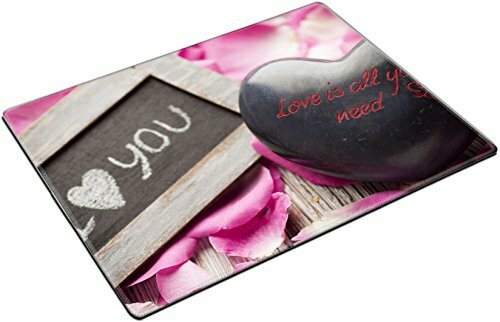 MSD Place Mat Non-Slip Natural Rubber Desk Pads design 35468908 Pink rose petals with the words I love you and heart by MSD at Community Frontiers. MPN: SXAEAEcvdA_PINK ROSE PETALS WIT_003. Hurry! Limited time offer. Offer valid only while supplies last. Manufacture:MADE IN USA. Designed, Printed and Shipped out of our California Facility.Features:Our place mat is made of natural rubber with Fabric.